The discussion about ethical fashion often ignores the matter of shoes. And even when they are included, most of the eco-friendly brands featured produce only fancy wedges, sandals, heels, or dress shoes. There are hardly suitable for regular day-to-day use, at least not when you’re looking for something comfortable for grocery shopping, jogging, or hitting the gym. Everyday footwear rarely gets any attention in the green movement. Today we want to present to you some eco friendly sneakers created by some very environmentally conscious brands. A shoe is longer-lasting and less biodegradable than any article of clothing. Moreover, many are made of tough, synthetic materials which end up kicking around the planet for centuries. That’s not exactly what an eco-friendly citizen desires. But if you thought your style would suffer in order for you to wear eco friendly sneakers, think again. There are some amazing socially-responsible footwear out there that fits even people with fashion-forward tastes. Prepare to look good and feel good, too, about your shoe choices. Many wonder if green shoes cost more than their conventional counterparts. The answer is both yes and no, because of the many factors involved. In the end, it depends on each single pair and the materials used, as well as the location of their production. If you’re looking to buy cheap, then yes, synthetic leather shoes are actually less expensive than leather ones. Any shoes that are mass made will usually sell for more reasonable prices. That being said, keep in mind that cheaper shoe options are usually made of lower quality materials than some of the more expensive eco-friendly shoes. Therefore, if your reason of buying green shoes is wanting to conserve resources, we recommend buying a pair that will last longer. Good quality men’s hemp flip flops are typically around $45, while a pair of vegan sneakers will average at $50. Looking for men’s outdoor eco-friendly leather work boots? If they’re made from partially recycled material, expect the price tag to be $160 or higher. For women’s green shoes, general price ranges for vegan high heels average at $65. Green loafers for women are $80 or more expensive, while designer vegan sandals or pumps can go as high as $865. These companies may not be as popular as mainstream brands, but you’ll be thrilled to find out about the good work they do! Many of these companies show great initiatives, as well as high standards for ethical production. While some focus on organic and vegan materials, others made their name in fair trade. You’ll find a third category of brands that are all about upcycling and repurposing and waste products. There’s something for everyone! On the green market since 2004, Veja boasts fair trade practices, as well as the exclusive usage of organic, raw materials since day one. Over the past 13 years, the brand has used its range of minimalist, everyday sneakers to prove style and sustainability shouldn’t be mutually exclusive. Co-founders Sébastien Kopp and François-Ghislain Morillion founded Veja to make eco friendly sneakers that don’t look like eco friendly sneakers. Back in the 2000s, “sustainability” was still in its infancy. Even though they’ve been around for so long, Veja continues to uphold their green standards. You’ve probably never heard of them because they only recently started selling sneakers in the U.S. If you’re looking for high-performance running shoes, Brooks’ eco friendly sneakers should be your top choice. The Green Silence running shoes, for example, require 41 percent less energy to make and is 75-percent post-consumer recycled. For the outsole, Brooks uses sand instead of petroleum. This reduces VOCs by 65 percent, protecting the environment and the manufacturers’ health. 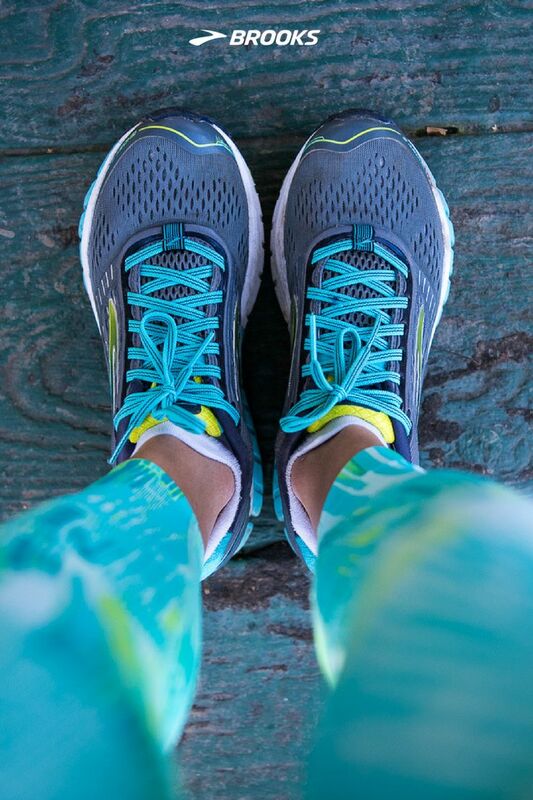 Brooks offers a wide range of running shoes, as well as comfortable sneakers for all-day use. After finding out about the massive amounts of plastic waste tainting our planet, The People’s Movement was born as a green way of redirecting the stream of waste toward something useful. Even though it may seem like an insignificant contribution to the green movement, this innovative shoe company has made waves already. It describes itself as an “eco-hip” brand that uses organic materials and upcycled plastic to create its green shoes. While most of their options are casual, you can also find shoes specifically designed for running. The excellent, comfortable shoes bearing the El Naturalista logo embody the combination of meticulous craftsmanship and high-quality raw materials. Their factories are Spain- and Morocco-based, two locations united by a common appreciation of leather. Even though leather is the material most often used in El Naturalista’s shoes, the brand also offers a vegan line. Another chrome-free line is fresh on the market, one that prevents the user’s allergic reactions to chromium. Vegan and cruelty-free, the Keep footwear includes casual and running shoes. All of their products are produced in factories audited by third-party non-profits who survey ethical working conditions. To ensure the upholding of the company’s standards, a Keep representative is present on the line of every production. The brand’s ultimate goal is to maintain and recreate old handicraft traditions from different cultures. Access their online store for perfect herringbones, Japanese indigo prints, Mayan textiles, hand-crafted quilt patchwork, and handwoven ikat materials. Do you like your Converse running shoes but are also concerned about their sustainability practices? Ethletics are their fair-trade counterparts, produced by fairly paid workers in Pakistan. This green brand’s shoes were the first in the world to bear the Fairtrade certification for cotton. They also have soles certified by Forest Stewardship Council. In fact, almost all the sneakers’ are Fairtrade or ecologically certified. That’s why Ethletic won a Fairtrade Company Award for 2016. You can buy Ethletics in various styles, including classic low- or high-cut models, or “fair flips” and “sleek” shoes.